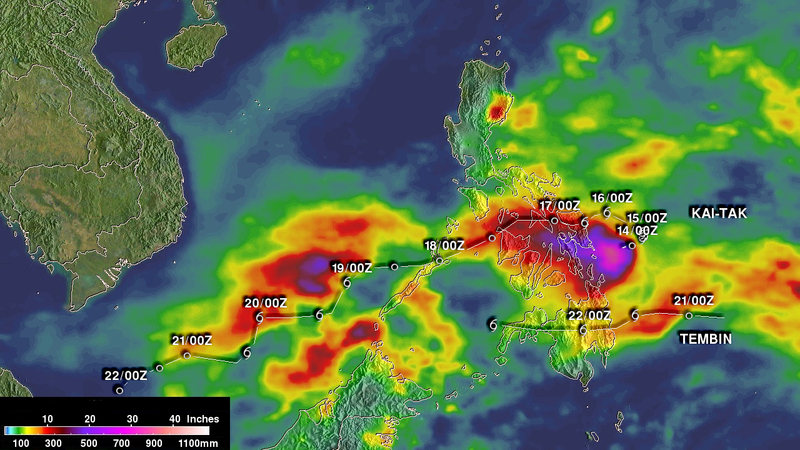 It's just a week since tropical storm Kai-Tak caused devastation in the Philippines killing 54 people, a further 90 have died with many more missing from another severe, "Tropical Storm Tembin." The latest tropical storm has triggered mudslides and flooding according to officials. Reports claiming a whole village has been buried by a mudslide cannot be confirmed because power and communication lines to the area had been cut, complicating rescue efforts. The weather bureau said the storm had gathered strength over the Sulu Sea and was packing winds of up 80 kph (50 mph) and moving west at 20 kph. According to Reuters, the Philippines is battered by about 20 typhoons every year, bringing death and destruction, usually to the poorest communities of the poor Southeast Asian country. Last week, 46 people were killed in the central Philippines when a typhoon hit. In 2013, super typhoon Haiyan killed nearly 8,000 people and left 200,000 families homeless.